The president tweeted about his mental prowess on Saturday, but there is a short list of people near Trump's inner circle who have voiced doubts. President Donald Trump just dove headfirst into a question that many won't go near: Is he OK? 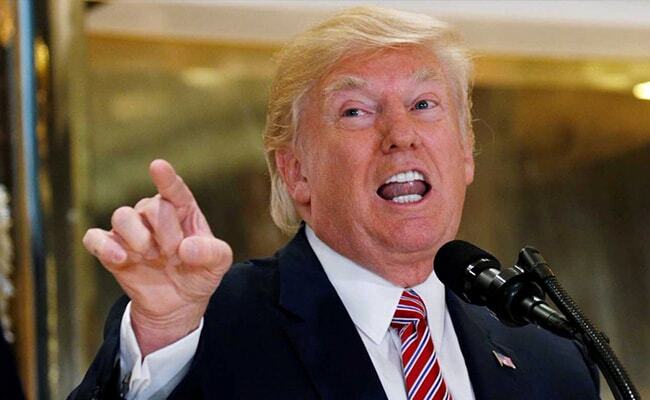 "The Democrats and their lapdogs, the Fake News Mainstream Media are taking out the old Ronald Reagan playbook and screaming mental stability and intelligence," he wrote on Twitter on Saturday. "Actually, throughout my life, my two greatest assets have been mental stability and being, like, really smart." So more than OK, in his opinion. But as Trump noted, others have expressed doubts. His tweet may have been in reaction to a new book, "Fire and Fury: Inside the Trump White House," which claims that some of the president's advisers have privately belittled his sanity and intelligence. But the book's accuracy is in some doubt, and the Yale psychiatrist, Bandy X. Lee, shared her concerns despite the American Psychiatric Foundation's ban on diagnosing people who have not been personally evaluated. And as Trump noted, the politicians who most commonly go on record to question his mental fitness tend to be his enemies. But there is a short list of people in or near Trump's inner circle who have voiced doubts about his competence, or who have been reported to have done so, even if some denied it later. At the top of the list is Sen. Bob Corker, R-Tenn., who in 2016 was considered a front-runner to become Trump's running mate, and later was a candidate for secretary of state, according to CNN. As chairman of the Senate Foreign Relations Committee, he called Trump's foreign policy ideas "very thoughtful," and even met with the candidate in May. But Corker's high opinion did not survive the first year of Trump's presidency. "The president has not yet been able to demonstrate the stability nor some of the competence that he needs to demonstrate to be successful," he said in August. His words shocked some in Washington. As the New York Times notes, Republican senators had called Trump unstable before - but they did so when they were running against him in the GOP primary. Sen. Lindsey Graham, R-S.C., called Trump a "kook" in 2016, for example, but now chides others for doing the same. And yet Corker has shown no sign of improving his opinion on Trump. In October, he called the White House "an adult day care center" on Twitter, and told reporters: "I've seen no evolution in an upward way. As a matter of fact, it seems to me it's almost devolving." Barely two months into his presidency, Trump accused former president Barack Obama of wiretapping him during the election. Trump has offered no evidence, and among those disturbed by the claim was his FBI director, James Comey, according to the New York Times. Comey told associates that Trump was "outside the realm of normal," the Times reported, and "crazy." The president fired him a few weeks later. The former FBI director has not commented publicly on his opinion of Trump's mental capacity. But Comey didn't trust Trump, he later testified, and took notes on every conversation he had with him in case the president turned out to be a liar. Secretary of State Rex Tillerson was so frustrated with Trump by the summer that he insulted the president in front of other cabinet officials, according to NBC News, and called him a "moron." A spokeswoman for the State Department denied that Tillerson used the word, but the secretary initially did not. Instead, Tillerson refused to "dignify" questions from CNN about his alleged remark, and called Trump "the most unique president we have ever seen in modern history." Months later - on Friday, hours before Trump tweeted about his mental abilities - Tillerson denied calling him a moron. "I've never questioned his mental fitness," he told CNN. "I have no reason to question his mental fitness." While it wasn't intended to be public, a conversation last summer between Sen. Susan Collins, R-Maine, and Sen. Jack Reed, D-R.I., ended up in the news after someone left a microphone switched on after a subcommittee hearing. The two senators were complaining about the budget process and Trump's ignorance of governance, as The Washington Post wrote at the time. "I think - I think he's crazy," Reed said. "I mean, I don't say that lightly and as a kind of a goofy guy." As we said, it's a short list. Others have said far worse about Trump's mental abilities, but they had obvious political motivations. Hillary Clinton called him "dangerously incoherent," for example, before he beat her in the presidential election. And some of the most dramatic reports questioning Trump's sanity and intelligence are also the shakiest. The president's friend, Thomas Barrack, is quoted in "Fire and Fury" as calling him "not only crazy but stupid." But Barrack denied saying any such thing, and compared Trump to Socrates in an interview with the New York Times. In the same article, the newspaper reported that Trump's son-in-law and adviser, Jared Kushner, has his own take on the president's mental competence. Trump is "crazy," Kushner said, according to the Times, "but he's a genius."